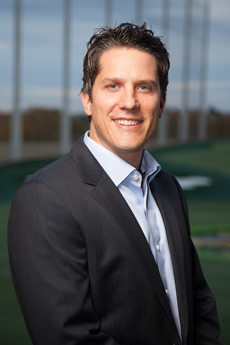 Rodney Ferrell joined Topgolf in 2012 and serves as VP of Global Partnerships, Topgolf. He leads the partnerships team, which is responsible for creating, negotiating and managing corporate partnerships consisting of media, sponsorships and hospitality. Prior to joining Topgolf, Rodney served as the Director of Corporate Partnerships for the Dallas Stars Hockey Club. During his time with the Stars, he oversaw corporate partnerships for Dr Pepper Arena and Dr Pepper StarsCenter and played an integral role in American Airlines Center becoming one of the leading revenue buildings in the NHL and NBA. Rodney also served as Director of Advertising Sales for Hicks Sports Group, a sports marketing agency representing the Stars, the Texas Rangers, Liverpool Football Club and other properties. Rodney graduated from Dallas Christian College and serves as a volunteer for the Leukemia & Lymphoma Society. Outside of Topgolf, his hobbies include Crossfit, running, biking and photography. Rodney is proud to say that he successfully conquered the San Francisco Triathlon at Alcatraz, where he finished the swim portion in 40 minutes.